Steve Jobs was known for his perfectionism, insistence on innovation, megalomania, and making workers’ lives miserable. Now that he’s gone, Apple’s quality control has slid. But Jobs’ final project, a new corporate headquarters, may be his most demanding tantrum of all. Many architects, project managers, and construction companies have worked on the gleaming doughnut over the years. Skanska USA and DPR Construction, the original general contractors, dropped out early for unknown reasons. The move was characterized as unusual for such a large project. But really, it might actually be closer to the massive architectural undertakings that rarely occur in the modern world. Like the pyramids, Apple’s plans call for things that haven’t been done before, and the building was initiated by a dying ruler. Like the Vatican, it attempts to make a statement that this organization is a permanent presence on our planet. That’s all a bit lofty to be sure. What we know is that Apple’s one of the biggest forces on the planet right now. 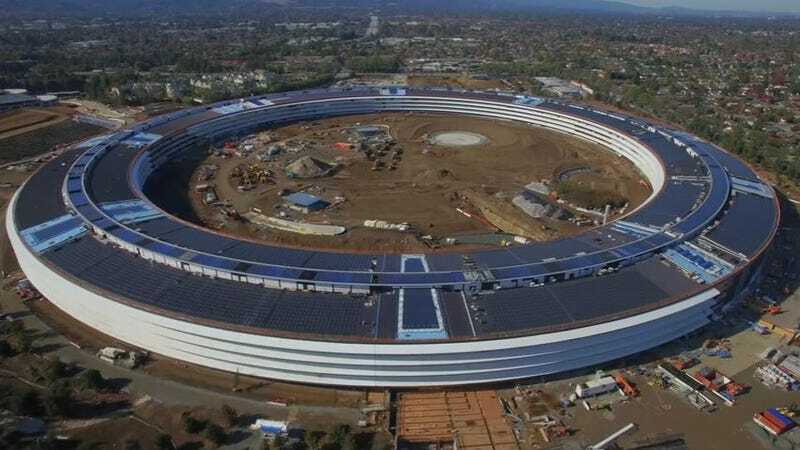 The new headquarters might not last thousands of years, but hopefully, the Great Glass Doughnut of Cupertino will give the company the space it needs to bang out some great gadgets.